The college will appeal. The cited violations occurred during a moment of chaotic leadership churn for the community college in Auburn. Update, Dec. 7: The Department of Education reduced Green River College’s fine to $250,000, according to the school. 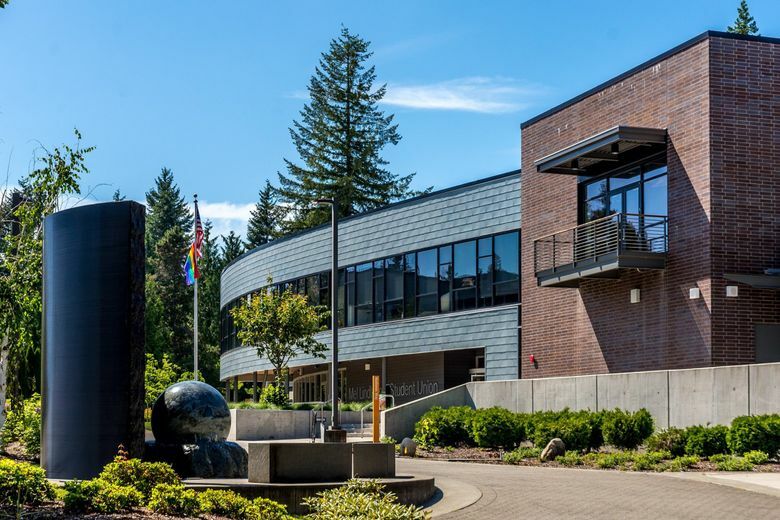 Green River College in Auburn is facing a $574,500 fine from the U.S. Department of Education for inaccurately tracking crime statistics, as well as its failure to publish fire and safety reports and develop a drug-prevention program. The fine stems from a violation of the Clery Act, a federal law that requires schools receiving federal funding to report statistics for crimes on or near campus, as well as policies for preventing and responding to sexual assault, by Oct. 1 of each year. Separate federal laws also require that colleges publish annual fire reports and that they each have a drug-prevention program. The violations occurred during a moment of chaotic leadership churn for Green River, a community college. The fine comes from the Trump administration, whose Education Department — under the leadership of Secretary Betsy DeVos — has scaled back on its campus civil-rights investigations. This audit, though, started in November 2015, under President Barack Obama. The college, which has 18,755 enrolled students this year, received notice of the Department of Education’s intent to fine on Sept. 27. President Suzanne Johnson sent an email on Oct. 3 informing the campus that administrators would appeal the amount, though they do not dispute most of the department’s findings. Green River’s operating budget for the 2018-19 school year is $59,778,524, said director of communications Philip Denman. The department found violations from 2008 to 2015, before Johnson became president of the college in July 2017. The department found that a lack of administrative oversight and staff training led to violations including: incomplete crime logs from 2010-2014; inaccurate reported crime statistics from 2013-2015; failure to produce an annual safety and fire-safety report some years; failure to include required policy statements on sexual assault and security in reports; and failure to develop, publish and distribute a comprehensive drug- and alcohol-prevention program from 2013-2015. During the period when the violations occurred, the college went through two presidential changes and had an executive staff member and three directors of campus safety leave, according to the school’s response to the findings. After the department began its review in November 2015, the college hired a former administrator to lead the effort in improving compliance, created a Clery Compliance Committee, hired a new director of campus safety, created an assistant director of campus-safety position, provided additional training for staff, and began using new technology for crime-statistic tracking, Johnson said in a campuswide email last year. The college was given an award for most improved Clery compliance program in 2017 by the National Association of Clery Compliance Officers and Professionals, Johnson said. In issuing the fines, the department stated that the college’s corrections don’t mitigate the severity of the violations, which left students, parents and employees in the dark about crime. Green River College has until Oct. 18 to file an appeal. No matter the result, the money owed would not affect college operations, Johnson said. Public records show the fine given to Green River College is higher than average. Five colleges received fines for violations of the Clery and Drug-Free Schools and Communities Acts last year, and the highest fine was $35,000, according to federal data. The department has issued $5 million in these fines from 2010-2017, with a median fine of $47,250. During that time, only Pennsylvania State’s $2.4 million fine was higher than the one Green River College is facing. On Monday, the University of Montana received nearly $1 million in fines for “inaccurate and misleading” crime statistics. The university plans to appeal the fine, but concurs with the findings, The Missoulian reported. Washington State University was fined $82,500 in 2011 for Clery violations, but the fine was reduced to $15,000 after an appeal, The Seattle Times reported. WSU was the only college fined in Washington from 2010 to 2017.